Joseph Lai asks us: "How does one or anyone truly celebrate Singapore Shores or the reefs or the sea for that matter? Would you have accumulated all known knowledge and have at the tip of your tongue names of all creatures of the seas, and quantify your schooling with every PhD you can ever lay hands on... would you have celebrated in truth if you cannot sit by her ocean waves and simply love her?" 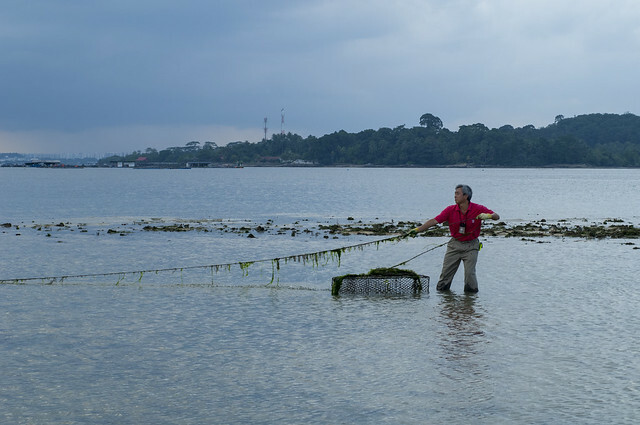 Joseph Lai, removing a fish trap from Pulau Sekudu, off Chek Jawa. 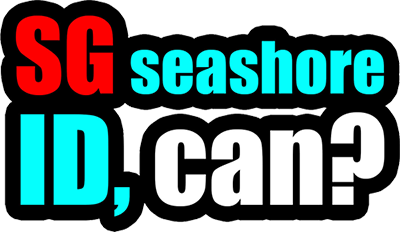 He continues... "I am no marine biologist and no PhD to my name although no one doubt my passion for plants as an out-and-out field botanist, but this does not stop me from stepping out and make an impact for the seas. I reproduce a letter I wrote in 2009 as an encouragement to all who wants to advocate and truly celebrate the seas. Seas the Day! ...Yes, my mother would have approved. 'Ng ho tok seh shih'." Read about the letter and the wisdom his mother imparted, in his post on the Flying Fish Friends blog, specially written for International Year of the Reef 2018.